Colored contact lenses offer a fun and attractive way to change your eye color, but it can sometimes be tough to find one that suits your budgets and preferences. Add to the abundance of brands out there and you could as well just give up searching. Fortunately, you don’t have to do all the research to get the right ones for your needs. We have helped you research the right lenses, what to look for and how to select the one that matches your style. When it comes to buying colored contact lenses, there are many reputable online retailers such as Coastal with sufficient options. 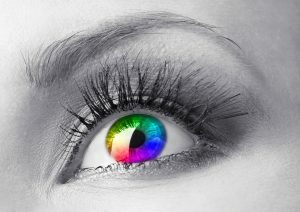 Most colored contact lenses mimic the iris (the colored part of the human eye). And because of this similarity, lenses are able to blend in naturally when you wear them. This makes them easy to use them in different hues and colors to match your body tone or fashion sense. Visibility tint – these colored contacts typically come in green or light blue tint to make them easy to insert or remove from the eye. The tint is usually light and transparent enough that they don’t affect the eye color when you wear them. Enhancement tint – as the name suggests, they are worn to improve the aesthetic of the eye. They have a see-through tint that’s a bit darker than the visibility tint and help to improve the natural color of your eyes. If you have light-colored eyes and want to make the colors deeper, you can go with enhancement tint. You will also be able to match them to your dress or overall appearance for an even better look. Opaque tint – These are non-transparent contact lenses that can change your eye color completely. They are a good choice if you have darker eyes and compared to the other two types, they are the most varied in terms of colors available. You can find opaque tint in several colors including hazel, blue, brown, gray, green, and violet. They are also available as custom contact lenses (and are mostly used in movies). The special effect they have makes them the choice of a wider spectrum of people than the enhancement and visibility tints. 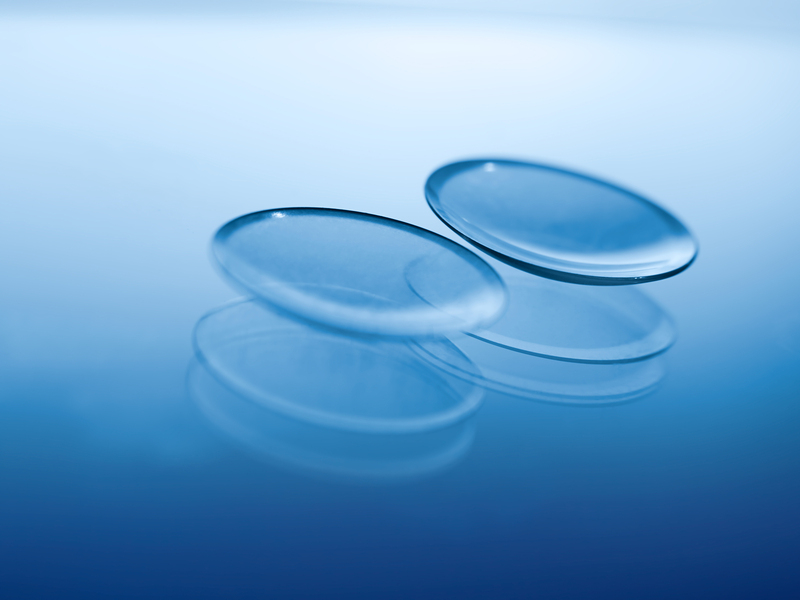 Contacts come in different types including Dailies, 2 weeks, monthly, extended wear (overnight) or gas permeable. No matter which type you choose to wear, you need to take care of them properly. Don’t forget to wash your hands and don’t skip cleaning your lenses. Remember, whatever is on your lens will be going in your eye, so make sure it’s clean. Don’t skip examining your contacts. A rip in your contact can feel uncomfortable and scratch your eye which can lead to corneal abrasion. Don’t sleep in contacts not meant for overnight wear. Your eyes need to breathe, not to mention this means you’re not cleaning them. This can lead to Cornea Edema, which is a swelling from sleeping in contacts. Don’t neglect your case. Make sure you clean your case with the solution every day and change them in 1-3 months. Your case is a perfect place for things that can cause an infection to grow leading to fungal related complication like cornea ulcer. Don’t use tap water to clean your lenses or cases. Your eyes are sensitive plus tap water can cause eye infections. Don’t swim in your contacts. Bacteria from pools and hot tubs get trapped under contacts and can cause an eye infection. Most importantly, don’t be afraid to ask questions! Your doctor is there to help. If you have discomfort/pain, redness, discharge, then call your doctor – it could be caused by contact lens misuse. Without being partial to any particular brand of a contact lens, Freshlook makes the number one color contact lens for those looking for colored contact lenses for dark eyes. This brand has the most flexibility in terms of the colors. We are going to talk about colors for dark eyes and I’m going to point them out so you can have an idea of what’s available to you if you have dark eyes. This brand has a subtle collection of lenses that slightly change your look to a natural range of amethyst, blue, brown, green, or gray shades that stand out. First, Amethyst is obviously going to be a purple contact for you if you want your eyes to stand out a little bit more. It is just a regular blue and not deep blue that’s going to show up in your dark eye. The brown colored contact lenses are great if you have brown eyes but they aren’t going to offer you any sort of enhancement, just blend in. Gray and green a bit deep and will lighten up dark brown eyes and give the eyes a little bit more pop as is the pure hazel color lenses. They have a deeper color and will help you stand out. These contacts are going to help you look natural without creating unnatural shades. Astigmatism is a common condition that requires a specific type of lens to correct it properly. Those with astigmatism have a cornea shaped more like a football. This shape means that light doesn’t blend-in correctly as it enters the eye causing blurry vision. This often means headaches and eyestrain particularly when reading, driving or reading a computer. It’s common with people with astigmatism to find that spherical contact lenses don’t fit their eyes properly. This means that the lens can move around leading to poor vision and discomfort. Toric lenses (lead to coastal) are specially designed to fit an astigmatic eye with corrective powers across the surface of the lens to help bend light effectively. You can choose from daily (link to coastal), monthly (link to coastal) or 2-weekly toric lenses (link to coastal) depending on your preferences in most leading brands including Focus Dailies, Biofinity, and Acuvue. This means there is a wider choice than you may think, so don’t compromise on your comfort or the quality just because you want to choose toric contact lenses. Just because you have dry eyes doesn’t mean you can’t use colored contacts. All you have to do is look at the causes of your dry eye and how to change your current contacts for a better one to help with your symptoms. If you are going to select contact lenses for your dry eye, you need something that covers your pupils completely. If you look at the ones at (coastal), you can easily find one that can change the shade of your iris into a number of natural looking colors without affecting your vision. You can also choose to change to a new style from previous ones, but just know that your base eye-color will most definitely determine the final experience. We’ll also recommend you try those contact lenses that are made from silicone hydrogel or low water content contacts or daily non-reusable contact lenses, which will help with your dry eyes. The reason contact lenses are popular is that people find them more fashionable and convenient compared to eyeglasses. Colored contact lenses can easily make you look different. However, that largely depends on the pattern of the contacts like tonality, size, opacity as well as your skin color or hair color. This will help your contacts stand out or blend in. Choosing colored contacts for fair skin – If your skin is fair, chances are great colored contact lenses will look great on you. You can get an elegant look with gray or blue contact lenses or go with bright eye colors to match your skin tone. Other colors like purple, turquoise, and aqua are good as they shine through and help you stand out from the crowd. Choose colored contacts for tanned/medium skin – If your skin type is brown or tanned, you need colors that will help your eyes glow better than your complexion and that means choosing bright colored contact lenses. Most people with this skin color go with gray, honey, green or hazel colored contact lenses depending on their taste and style. Choose for dark skin – For dark skin, you have more options and your option can be based on the effect you want to achieve with the contact lenses. Warm colors have been found to work well with a dusky complexion as hazel or smoky colored contacts can help you get a natural look. Honey or autumn lenses are also great for a stunning look but make sure you avoid those lenses with loud colors like pink if you want it to blend with your skin color. Don’t reuse solution that is in your case. A solution only works for one day. And when storing your lenses, always use a new solution (don’t top up old solution). Don’t wear your contacts for longer than prescribed. 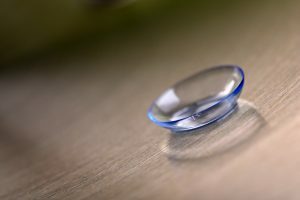 Contacts become unsafe to wear after this time and they are no longer breathable and this can lead to infection like pseudomonas infection that can result from wearing contacts too long. 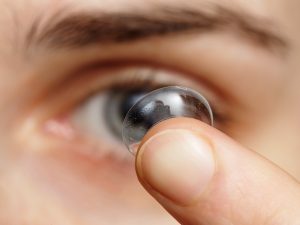 If you need contacts for longer than prescribed, there may be other types of contacts that better fit your lifestyle. Ask your doctor. Consider your hair color too. If you have medium brown hair, then you have a lot more options available to you than others with different hair colors. You can go with whichever colored contact you want as long as it suits your needs. If your hair is light or blonde, you want to look at darker colored contact lenses like deep brown or chocolate tint. You can also choose those that come with shades of gray or bright blue, just ensure that your eyebrow hair matches so you can maintain a unified look. If you have black hair, however, you can go for blue or purple contact lenses to create beautiful contrast or try brown contact lenses to achieve a natural look. If you have brightly colored hair or blue, you can choose black toned or brown circle colored contact lenses for your unique hair, but keep the contrast low so you don’t create too much contrast between your eyes and hair color. Where to Purchase Your Colored Contact Lenses? There are many retailers online that offer colored contact lenses. While most of them have great options that might suit you, the pricing may be off-putting. In order to avoid this, we scour the internet for the best place to get the best deal on colored contact lenses. After going through a few of this retailers, we’ve found Coastal.com to be the best place for your colored contact lenses. You can check out their collections [here].